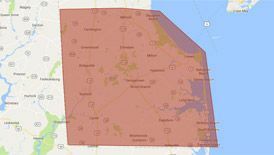 If you live in Ocean View, DE, you may know Peninsula from our home heating oil, propane, and biodiesel services. But we do much more than that! Peninsula offers some of the friendliest, most reliable air conditioning services on this side of the Delmarva. Before you suffer through another hot, steamy summer with a busted air conditioner, call Peninsula! The most important day in the life of your air conditioner is the day it’s installed. And since well installed air conditioners can last as many as 15 years, it’s crucial that you go with a company you can count on to get the job done right! At Peninsula, our experienced air conditioning technicians will make sure your AC unit is properly sized to your home and properly charged with refrigerant so you’ll experience years of worry-free comfort. Solid air conditioner installation is only the first step—if you want your system to last, it’s important to have it frequently inspected! At Peninsula, we recommend you have your air conditioner installed at least once a year, preferably in early spring before you turn the system on for the summer. Especially as your air conditioner starts to get older, this will help our team catch any potential problems that may develop over the winter and take care of them before they become major hassles during the summer. Even if your AC is only a few years old, an air conditioner inspection can save you from some major headaches down the road! Even the most reliable air conditioners experience some hiccups from time to time. 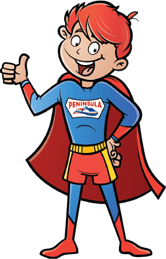 So if yours burns out (no pun intended) on the hottest day of the summer and you want it fixed fast, call Peninsula! We’ve seen it all, from broken blower fans to frayed belts to dead compressors and everything in between. When your air conditioner is fried and you can’t wait for service, call Peninsula! As much as we hate to say it, air conditioners don’t last forever. So if yours is pushing 10 – 15 years old and it’s starting to have some problems, another repair may not cut it. If this is the case for you, there’s only one name you need to know: Peninsula! Our friendly air conditioner technicians can come out to your home, assess your system and make recommendations as to whether it will last another year. If we think it’s best to replace it with a new one, we’ll lay out a list of options and walk you through which ones would be best for your family. At Peninsula, we know how frustrating it can be to go without AC on the Delmarva—after all, we live here too! So no matter what air conditioner services you need, call us today! To find out more about our air conditioning services, contact us today!